These small and handy Korean folk crafts with Korean pretty traditional costumes are really cute. 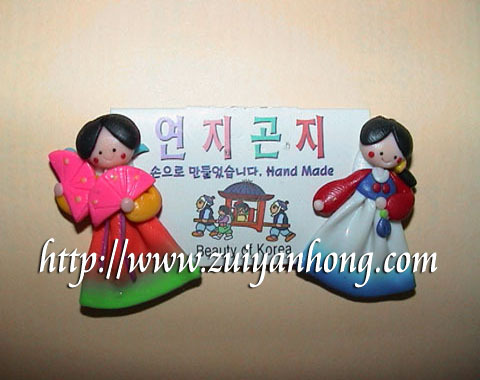 The price of these small dolls (10 in a set) is around 6000 to 7000 Won (South Korea Currency). You can buy them at shopping malls or roadside stalls. Remember to buy some for your friends or children when you pay a visit to South Korea.